All Nintendo services are fully functional and online after its "one-time surge" that caused service outages. Nintendo does not expect any further outages like the ones that plagued the Nintendo Network services over the holidays. With so many new Wii U and 3DS users trying to use the network, it crashed in what the company described as a "one-time surge." The eShop was taken down and is live once more on all systems as of yesterday. "We do not anticipate any further outages, but will continue to closely monitor the situation," Nintendo of America tweeted. "We sincerely apologize for this week's inconsistencies and thank you again for your patience and support. We will share more information about the launch of Pokemon Bank and Poke Transporter as soon as possible." Pokemon Bank was removed from the eShop in Japan shortly after it launched, and its US and Europe launch was delayed, now listed as "to be announced." 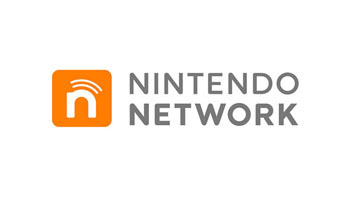 The app was removed and delayed to lessen the strain on the network, and the eShop and Nintendo Network went under emergency maintenance for 12 hours to fix the problem. It's wonderful for Nintendo that there are so many more adopters of the Wii U and 3DS following the holidays, but holiday surges are to be expected. As Nintendo revealed yesterday, a part of the network's strain was also due to the ability for 3DS users to adopt Nintendo Network IDs to link their eShop accounts on a Wii U and 3DS. Now that existing 3DS users have largely created Nintendo Network IDs, it's likely that we can all relax with our systems and happily access the eShop - something that makes Nintendo just as happy.